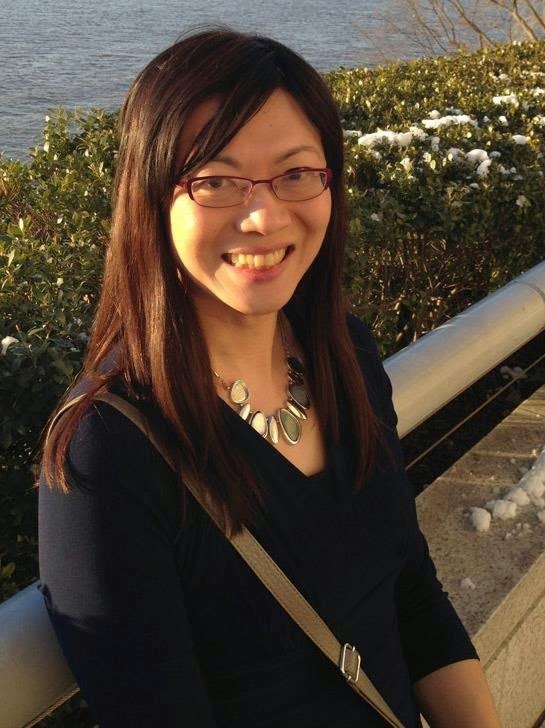 1) Alexa Huang, GW Associate Professor of English, specializes in Shakespeare and globalization (especially Asia), Shakespeare and performance, and digital humanities. She is also Research Affiliate in Literature at MIT and General Editor of the Shakespearean International Yearbook (since 2010). As co-founder and co-editor of Global Shakespeares, an open-access digital video archive based at MIT, she recently served as the video curator of an exhibition on early modern and postmodern Sino-European cultural exchange at the Folger Shakespeare Library. Her research is more than just plugged-in: if you have not visited Global Shakespeares yet, do so immediately. Alexa has been busy and abroad this summer; she gave a talk at the Edinburgh International Festival, "All the world's a stage," that touched on touring theatre, festivals in 21st century cultural life, Shakespeare's global career, King Lear, and The Tempest. She then conducted interviews for the televised BBC 2 Review Show and for "Classics Unwrapped" on BBC Radio Scotland. During these programs, she discussed global Shakespeare, the Edinburgh International Festival, and what's at stake in performing Shakespeare today. Please welcome her personally at a GW MEMSI event this academic year. 2) Michael Witmore, Professor of English at the University of Wisconsin-Madison and newly-appointed Director of the Folger Shakespeare Library. His research interests include Shakespeare, early modern intellectual history, and the history of materialism. He directs the Working Group for Digital Inquiry, a group of humanists who use computers to assist in traditional humanities research such as mapping the prose genres of Early English Books Online (EEBO). Take the time to navigate his blog, Wine Dark Sea. His most recent publication, Landscapes of the Passing Strange: Reflections from Shakespeare (Norton, 2010), was inspired by a painting in the library he now directs. You can read more about this work and his exciting new tenure in a Folger interview. We hope to have Professor Witmore headline an event for us in the near future. Please welcome these two renowned scholars and "digital inquirers" to the GW MEMSI community! The first GW MEMSI Seminar of the 2011-12 year will feature the work of Suzanne Miller, an assistant professor in the History Department at GW. Her essay "Cycles of Violence and Penance: Crafting the Narrative of Venice's Adriatic Empire" is available for circulation immediately. Please email Lowell Duckert (lduckert@gwu.edu) to obtain a copy of the paper and to RSVP for the seminar. We meet in Rome Hall 771 (Academic Center, 801 22nd St NW, Foggy Bottom Metro) on Friday 9/9 promptly at noon. A light lunch will be served. The seminar is a conversation about precirculated work in progress, so please arrive having read the essay and ready to give feedback and join the conversation. In order to ensure that there is enough food, you must RSVP to Lowell to attend; if you do RSVP, please do come. Professor Miller's interests include the intersection of politics and cultural production, the construction of authority, and cross-cultural encounter. Her current research focuses on colonial endeavor and foreign rule within the medieval Mediterranean. Read more here. ... we would settle for the .5 in that 113.5. We're cheap, and easily made happy.